As creative fashion leaders, we deliver exceptional client care through ethics, professionalism, continuous skills development, and teamwork. In our pursuit of excellence, we are determined to exceed our clients’ expectations through superior service and engaging communication, while raising the standards in our industry. A progressive and fashion-forward environment, creating distinctly different outcomes in a friendly and approachable environment. Check Out Our Salon. There's So Much to See! The staff at Salon Gaboa is proud to offer its clients a huge variety of top quality products and services. To learn more about us, what we do and what makes us great, click on the following links, or simply explore the site on your whim. Huge Congratulations to four illustrious members of our Salon Gaboa team. 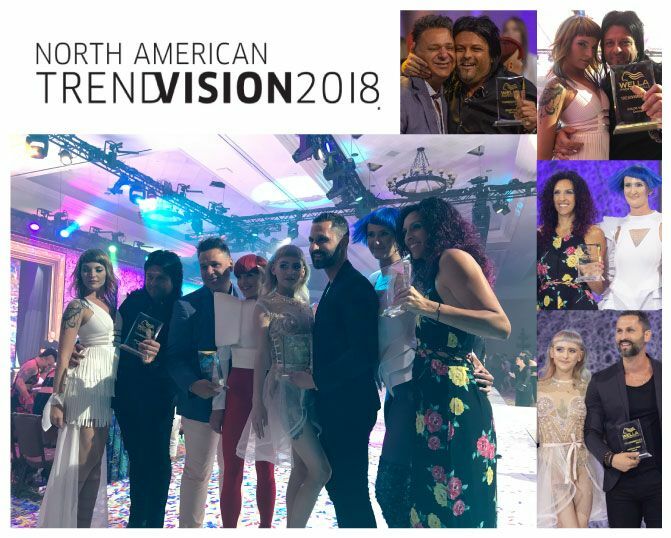 For the 2018 North American TrendVision Award Competition put on by COTY, we salute Daniel in Colour Vision and Rob in Creative Vision, each for Gold, Frank’s Silver in Colour Vision, and Adriana’s Bronze in Creative Vision. Salon Gaboa appearing on Breakfast Television for Salon magazine’s Contessa Awards.